Latrines being constructed for the use of Internally Displaced Persons in transit at Malakal quayside. Morton, Chris. 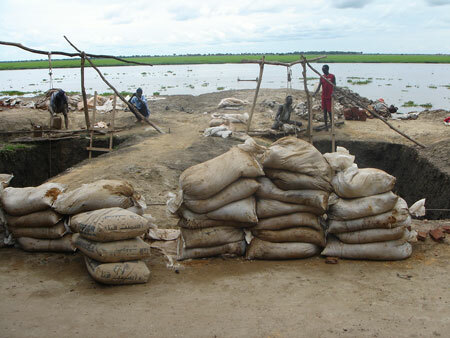 "Latrines being built at Malakal" Southern Sudan Project (in development). 03 Jan. 2006. Pitt Rivers Museum. <http://southernsudan.prm.ox.ac.uk/details/2007.137.87/>.